Being able to work quickly with your assets – and have them work for you – is essential to labels, artists and rights holders – and it is at the very core of todays music industry. 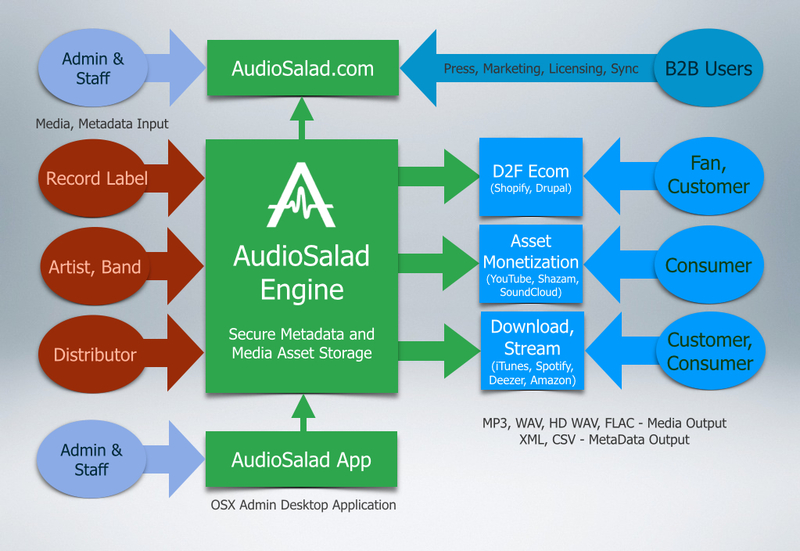 With AudioSalad, we set out to create a tool that would fundamentally improve metadata and asset management for everyone. With AudioSalad, content sharing, delivery and ecommerce is made easy and secure – you can be sure that only the right people on your team, or wider network can access your assets. 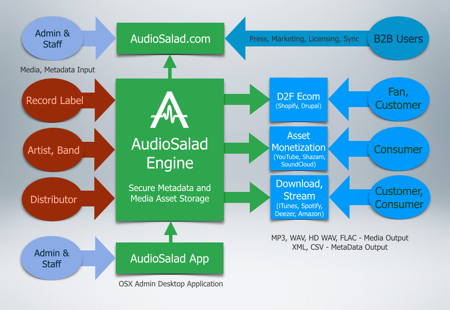 In short, AudioSalad is a simpler and smarter way to work with your content.